While St. Valentine’s Day has passed, #OtherworldlyWords continues to look at four words that describe the downside of love and attraction. 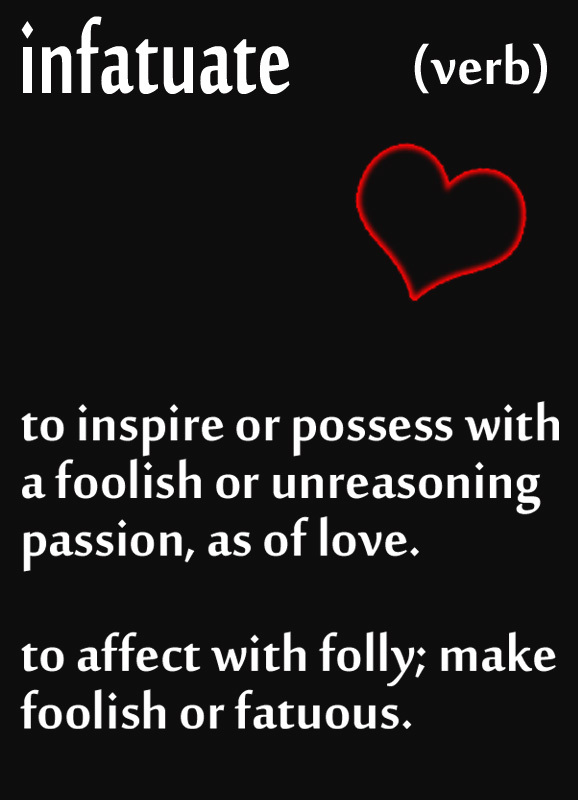 This week’s word is infatuate. No one likes to act a fool, but love sometimes makes us lose our head. Comically, the word is from the Latin root meaning “to gape.” So, being infatuated means to stand around with your mouth hanging open. One of the many splendors of love! Fatuous is a lesser-known word from the same root. Glad you like it. I hope you get to use it.